Surat Thani is a busy train station connecting ferry services to Koh Samui and Koh Phangan to Thailand’s railway network. 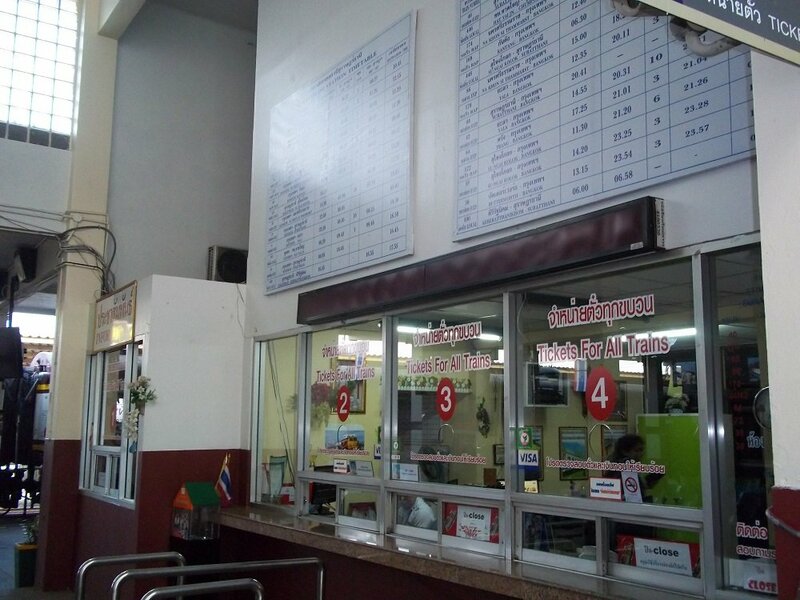 A large number of passengers also pass through Surat Thani train station on the way to destinations on the Andaman coast, such as Krabi and Phuket, which is not connecting to the railway network. There are 10 direct train services per day from Surat Thani to Bangkok. Trains #42 and #44 and trains #38 and #46 join together at Surat Thani and operate as a single service for the journey to Bangkok. Use the Search Box below to buy train tickets from Surat Thani to Bangkok. Simply enter your travel date into the Search Box and click to find tickets. The 10.40 departure is on a sprinter train and is the fastest train service to Bangkok. The other services travel overnight and have 1st and 2nd sleeper seats which convert into bunk beds. Sleeper seats are very popular and booking in advance is normally required. 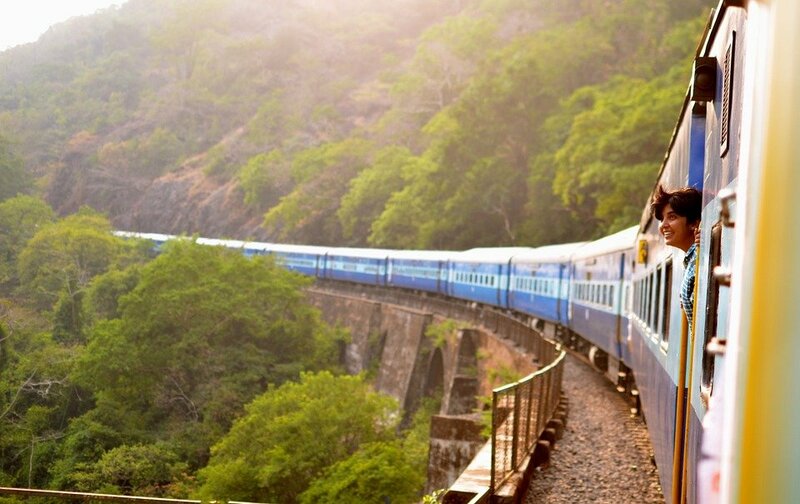 Travel Tip: The 17.35 departure is the most punctual train service as it starts in Surat Thani, unlike the other trains which travel up from the South of Thailand and are often delayed by the time they reach Surat Thani. 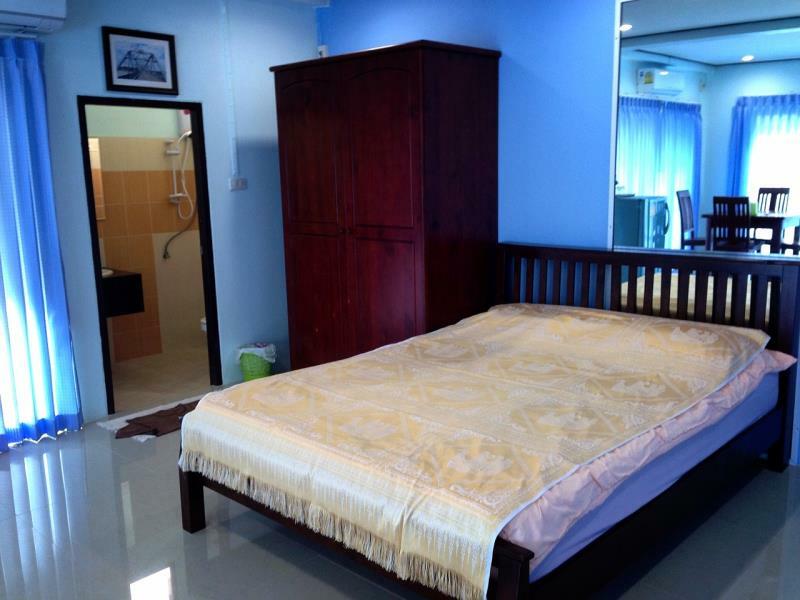 Located in Phunphin town 16 km to the West of Surat Thani town centre. Built in 1954 this is one of Thailand’s modern functional train stations. This is a ‘tourist friendly’ station with information and announcements in Thai and English. The station is on the Southern Line which runs from Bangkok to Southern destinations on the Malaysian border at Sungai Kolok and Padang Besar. 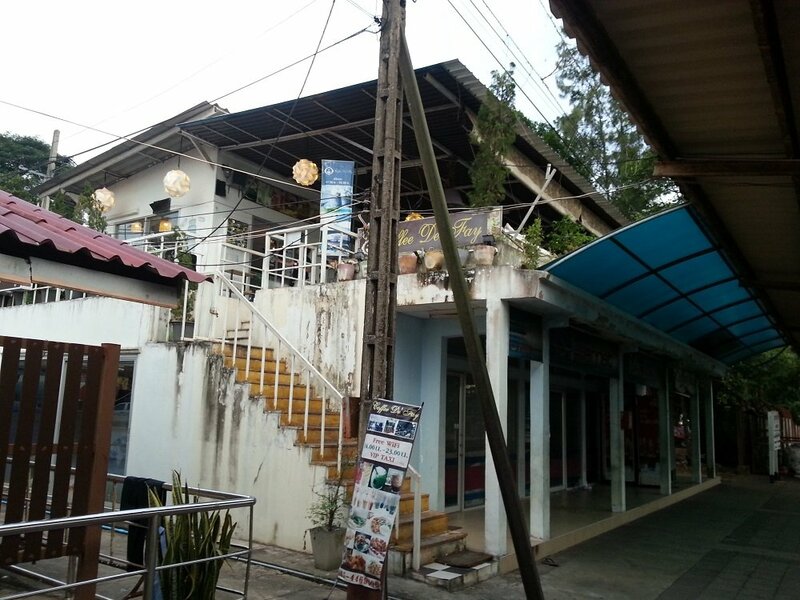 For onward travel to Koh Samui, Koh Phangan and Tao there are a number of services which depart from directly outside the station, in the small car parking area with the cafes to the left of the main railway station entrance as they leave the station. They services include both bus and boat tickets and run through out the day. For more information about onward travel from Surat Thani Railway Station click on the links above. For information about travel to other destinations in Thailand click on the links below. For most destinations there are services which depart direct from Surat Thani train station. 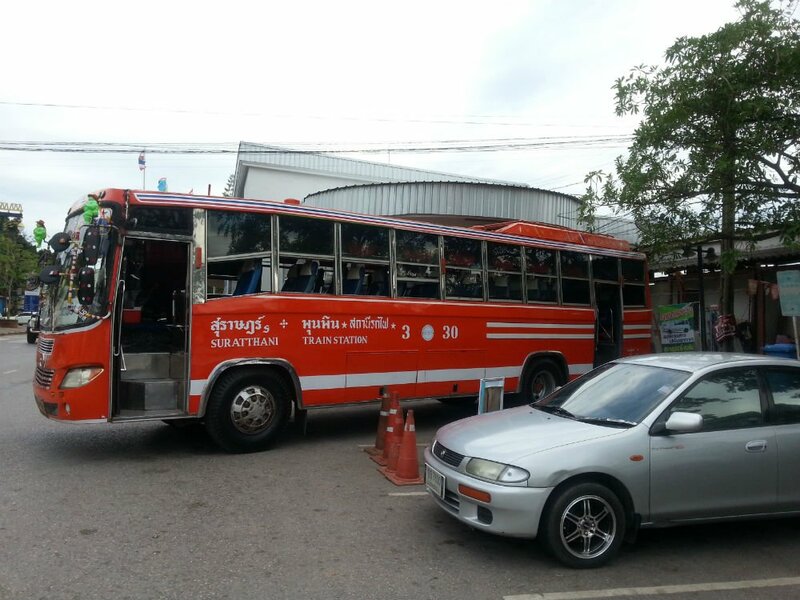 For other destinations you need to travel into Surat Thani town to catch a bus or minivan. To reach Surat Thani town from the train station you can either take a local bus, a taxi or a motorbike taxi. The journey by bus can take up to 50 minutes and as little as 15 minutes by taxi. 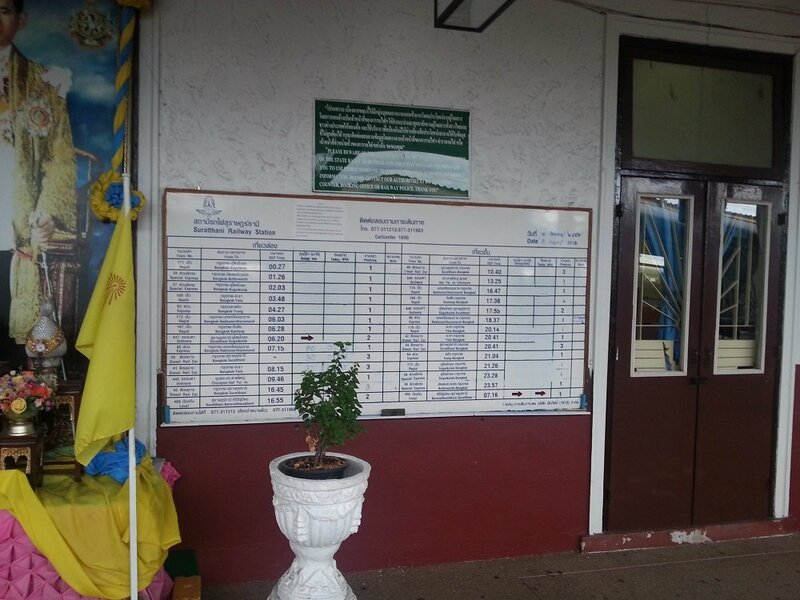 There are several transport companies providing direct connections from the islands of the Koh Samui archipelago to Surat Thani train station. Alternatively, you can travel independently from all three islands by ferry to the port of Donsak, then take a bus or taxi for the 90 minutes drive to Surat Thani city, and from there take a local bus, taxi, or motorbike taxi for the 16 km journey to Phunphin town where the train station is located. Few people choose to travel independently because there is little or no cost saving. 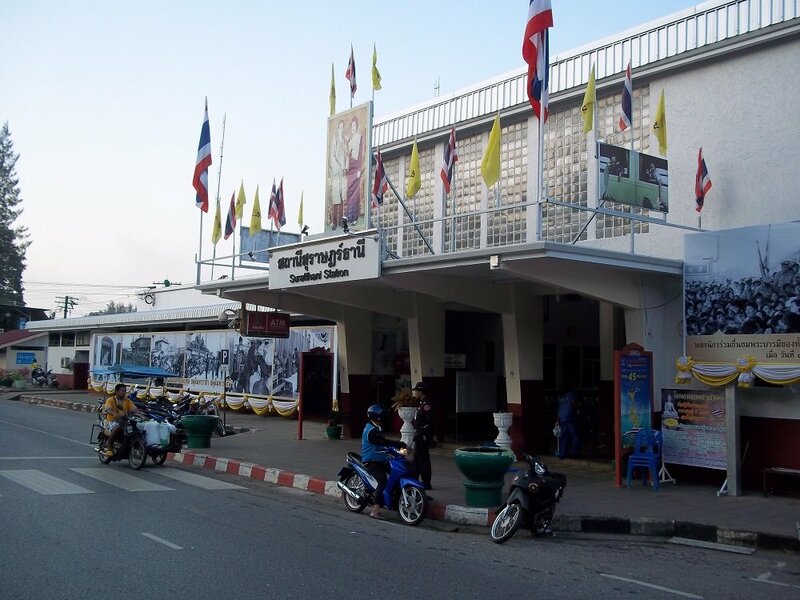 Surat Thani train station is a plain concrete building completed in 1954, located 16 km away from Surat Thani city itself in the smaller town of Phunphin. The original railway station had been used by the Japanese military in World War II and for that reason destroyed by Allied Forces in 1945. A second train station was built and then closed 8 years later to make way for a new bridge. The current Railway Station was built quickly thereafter. There is not much for visitors to do in Phunphin and most people do not stay here longer than they need to. There are good transport links into Surat Thani and other destinations (particularly Koh Samui, Koh Tao and Koh Phangan) which can be reach directly from Surat Thani Railway Station. Because Surat Thani train station is a major transport hub for foreign visitors to the islands of Koh Samui, Koh Phangan and Koh Tao, as well as connections to Krabi and Phuket, there is much better English language information and assistance for tourists than you find at most other provincial train stations in Thailand. Display Boards: On Platform 1 there is a helpful board showing departure times, train numbers and which platform to wait at. If the train is delayed this information is added to the board and updated as the delays occur or increase in duration. Information Desk: On Platform 1 there is an information desk which is staff late into the night. The staff here generally speak English. Announcements: Announcements are made in English as well as Thai. Security Staff: There are security staff working at the station who helpfully check the tickets of foreign visitors for the purposes of assisting them with getting on the correct train and where to stand on the platform in order to board the correct carriage. They speak little English but they can read train tickets and point you in the correct direction. Toilets: There are toilets to the left hand side as you enter onto Platform 1, the fee is 3 THB per visit. Food: There is a cafe and a few small shops selling drinks and snacks on Platform 1. Since alcohol was banned on all trains and in all railway stations in Thailand, most of the food and drink outlets which had been on the station have closed down. There are, however, a number of very good food stalls (open in the evening) with menus in English, a 7-Eleven, a Family Mart and an ATM machine within 100 metres of the railway station. In the daytime there are 3 cafes open near the car park in front of the station. Leave via the main entrance and follow the road round to the left. Left Luggage: There is a left luggage service on Platform 1 near the information desk. Cargo Services: As you enter the station via the main entrance the Freight & Parcel Office is near the toilet on the left hand side of Platform 1. There is no requirement to travel with cargo on the same train, or any train in Thailand, and you simply pick it up from the train station of your choice the same day or the next day by presenting your shipping receipt. You can transport bicycles on trains from Surat Thani train station if they have a freight car. Some trains do, others do not. Unlike other forms of cargo, in Thailand you need to load and unload bicycles yourself which means you need to travel on the same train. To purchase a ticket for a bicycle go to the Parcel Office at Surat Thani train station after you have purchased your own train ticket. For more information see our Guide to Carrying Bicycles on Thailand Trains. Tickets are available for purchase in the ticket hall, which is on the right side of the station as you enter through the main entrance. From 2015 it became a requirement to show your passport or Thai ID card if you want to purchase a ticket. On busy trains please be aware that it is often not possible to buy sleeper seats because they have all been reserved in advance of the day of travel. 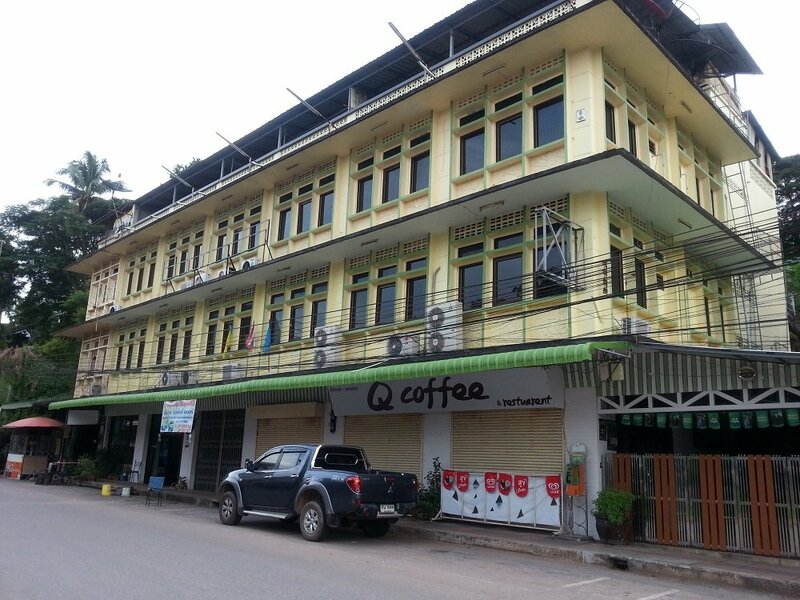 This hotel is a 3 minute walk away from the entrance to Surat Thani Railway Station along the main road which runs through Phunphin town. As well as being the closest hotel to the train station it also has the only indoor restaurant in the area. 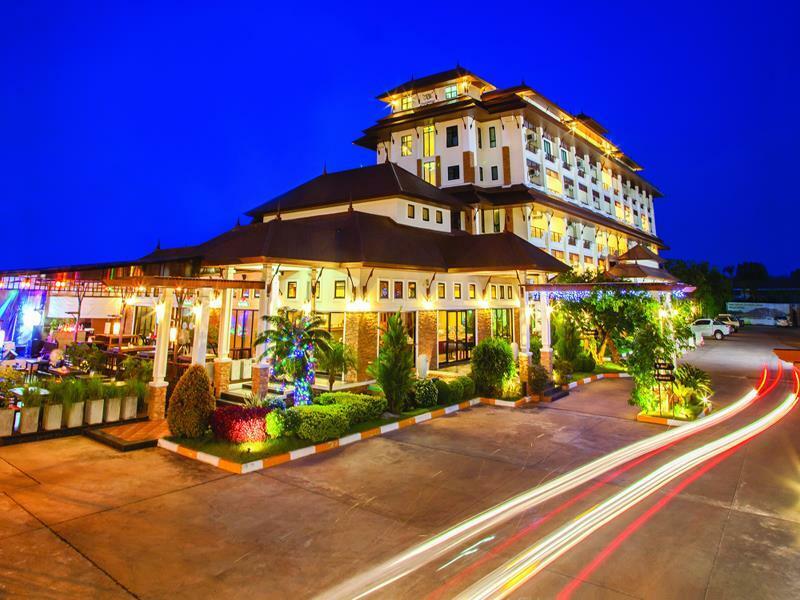 This is an ideal hotel to to use as a rest stop before catching a late train as it is cheap, close by and because the seating at Surat Thani Railway Station is awful. This hotel is often used as a place to wait in more comfort for a train departure. The trains travelling South to Hat Yai and Malaysia are frequently delayed by 3 hours or more. The trains travelling North to Bangkok are also sometimes delayed although the delays are normally shorter than the Southbound trains. A lot better than the Queen Hotel but further away. If you are planning to stay the whole night and catch a morning train its worth the 15 minute walk or 3 minutes taxi ride to the Train Station. Rooms have air-conditioning, satellite TV, free WiFi and clean bed sheets. Guests report receiving very good service from the owner and assistance with onward transport. It has no restaurant but there are food options nearby.